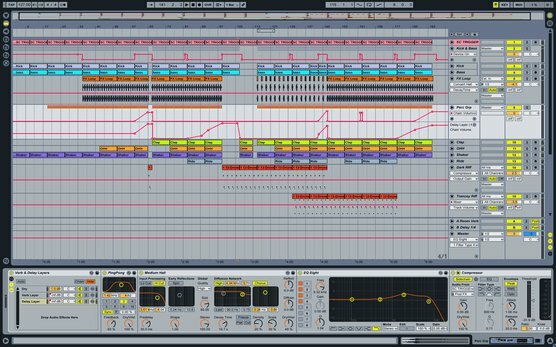 One of the best ways to improve your own tracks is to look at how another artist's tracks come together. With that in mind, Ableton artists Spektre and our friends at Loopmasters assembled Spiral Pulse, an exclusive and unreleased full track, available as a free Live Pack. Take a look at Spiral Pulse and you'll see all the nuances that go into a professional track, from kick drum filtering to the right placement of noise sweeps. The samples in the Pack are available royalty-free - so go ahead and use them on your own tracks! Loopmasters conducted an in-depth interview with Spektre's Paul Maddox, who provides some excellent insight on the construction of Spiral Pulse. Read the interview and download the free Live Pack at Loopmasters' blog.